The UK's Aesthetic Treatments Distributor | Aspire & Co Ltd.
pHformula is the world’s first pharma cosmeceutical skincare brand that tackles skin disorders by skin resurfacing. As a controlled chemical resurfacing technique, pHformula offers little downtime and superb results to combat skin disorders. Find out about the results. Aspire are the exclusive base and distributors for pHformula in the United Kingdom. Aspire provide training to skin specialists to become certified in providing pHformula treatments, as well as regular educational updates and product distribution and information. Find a certified pHformula treatment provider near you. 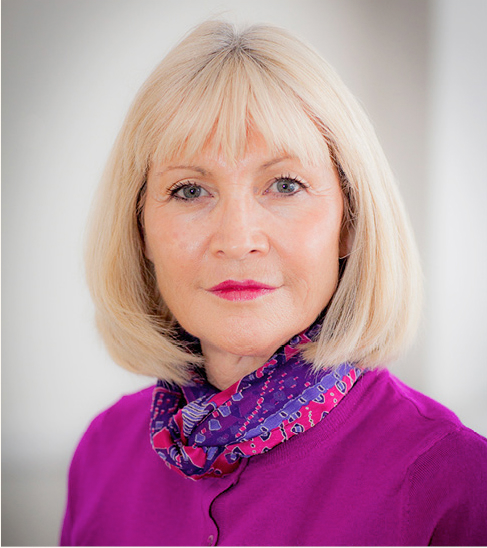 Pam Cushing MD, RN, MSc NIP PGDIP(Aest Med), an Independent Prescriber with over 30 years’ experience in the NHS, gained an MSc with commendation and graduated with merit in a postgraduate diploma in Aesthetics Medicine in 2004; since then she has been advancing the practice of facial aesthetics as a highly experienced and skilled practitioner. Pam specialises in the use of medical grade acids in the management of common skin disorders. Alongside her role as Vice President of the Society of Mesotherapy and member of the British Association of Cosmetic Nurses, Pam runs a successful private aesthetic clinic in the East of England. In 2014 Pam was introduced to the cutting edge science that forms the unique benefit behind pHformula and she established Aspire & Co limited as a skin academy, becoming the exclusive distributor of the pHformula brand in the UK. “It has long been believed that peeling skin is necessary to create cellular repair, resulting in traumatic damage to the epidermal layer, with the risk of sensitivity and associated downtime. Through the breakthrough delivery complex pHformula delivers the active acids rapidly direct to the dermis, leaving the epidermal layer intact. This process means pHformula effectively manages the four common skin disorders of ageing, acne, hyperpigmentation and Rosacea, without downtime. pHformula allows you to individually tailor each treatment in both formulation and duration to achieve the best possible and safest results. Aspire & Co accredited clinics are able to offer their clients the skincare results they dream of without downtime or uncomfortable side effects. To stock and dispense pHformula treatments and join our unique Aspiration benefits program you must first be fully trained in the application of treatments by one of our certified trainers. Training days take place regularly at our two centres or, for groups of 5 practitioners or more, bespoke training can be arranged at your premises (expenses will be charged at cost). All our practitioners are able to benefit from a complementary refresher session within the first three months of becoming accredited.